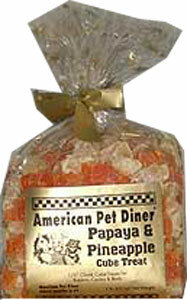 American Pet Diner - Papaya Cube Treat - 6 oz This snack is a delicious fruit cube approximately 1/2 inch cube. 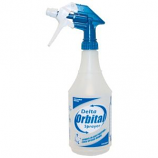 Feed as an occasionally treat for fun and to add fiber to your pets diet. American Pet Diner - Papaya Cube Treat - 6 oz-6 oz- product is categorised under Wholesale American Pet Diner products, Wholesale Small Animal Products, Wholesale General, Wholesale Food & Treats.